The 17th of Tamuz is a public fast day. One is required to fast on this day due to the tragedies that occurred during this time. It is also the beginning of the three-week period of mourning. This fast is mentioned explicitly in scripture [Zecharia 8] as the “Fourth fast”. The fourth fast refers to the fast of the 17th of Tamuz which is in the fourth month. Moshe broke the first Luchos upon descending from the mountain and seeing the golden calf. The Karban Tamid sacrifice ceased to be offered onto the altar in the period of the first Temple. The walls of Yerushalayim were breached during the times of the second Temple. Apotomus the Rasha burned a Torah scroll. The purpose of a fast day: The purpose of a fast day is to arouse the hearts in true repentance after contemplating the suffering we experienced due to our evil ways. Thus, each person is to do an accounting of his soul during this time. When does the fast begin? The fast begins at Alos Hashachar. This is approximately two fluctuating hours prior to sunrise. Thus, even if one was awake the entire night he must stop eating and drinking two fluctuating hours before sunrise. Women after birth: According to all opinions, a woman within 30 days of giving birth does not need to fast. One who is traveling: If one feels healthy, he must fast even if he is traveling that day. The thirteen attributes: It is forbidden to recite the thirteen attributes without proper concentration. [It is to be recited slowly and carefully. It is to be recited aloud. Some are accustomed to count the Middos with their fingers. Some are accustomed to picture each letter of each word in their mind while reciting it.] The 13 attributes may only be read together with the Minyan. The custom is to stand while reciting it. One is not to lean while reciting it unless he is old or sick. Avinu Malkeinu: Avinu Malkeinu is recited after Selichos, prior to “Veanachnu Lo Neida”. One continues straight to Veanchnu Lo Neida after Avinu Malkeinu and omits the short Avinu Malkeinu prayer normally recited prior to Veanachnu Lo Neida. The Torah portion of Vayichal is read during Shacharis. The meaning behind Aneinu: The Kol Bo writes the prayer of Aneinu contains 63 words which correspond to the 63 letters contained within the verse “Vayira Yaakov Meod…” The Aguda writes that it corresponds to the 63 letters of the three Avos and twelve tribes. Alternatively, it corresponds to the Divine 63 letter name of Hashem [Sheim Sag], which corresponds to Bina and Gevura. We thus recite 63 words in order to sweeten the severities of Bina. May one use mouthwash if not doing so will cause pain and discomfort? Yes, it may be used in such a case. *Important note: In this chapter, only those laws which apply throughout the entire duration of the three weeks, from the 17th of Tamuz until Tisha B’av, will be discussed. All Halachas which only apply during the nine days, will be discussed in the next chapter. In certain topics, the laws become more severe during the nine days, as will be noted whenever applicable, and one is to refer to the next chapter for the full details of this matter. One may not get married throughout the three weeks. This applies even if one is childless or is single and has small children from a previous marriage. This applies even if the wedding feast will not be celebrated at this time, and will take place at a later date. One may date [Shidduchim] and become engaged throughout the three weeks, even on Tisha B’av itself. One may hold an engagement party [Lechaim] with a festive meal up until Rosh Chodesh Av. However, after Rosh Chodesh Av, until Tisha B’av, one may not hold a celebratory meal in honor of the engagement. This applies even on Shabbos. However, one may have an engagement party without a meal [just sweets] even after Rosh Chodesh. It is forbidden to dance during the party. One may not cut hair throughout the three weeks. Body hair: The prohibition against haircutting applies whether to the hair of the head, and whether to the hair of any other area of the body. Shehechiyanu on Shabbos: Some Poskim rule one may recite the blessing of Shehechiyanu over a new fruit on Shabbos [and Rosh Chodesh Menachem Av]. Other Poskim rule one may not recite Shehechiyanu even on Shabbos of the three weeks. [Other Poskim rule one may recite Shehechiyanu on Shabbos, up until the nine days.] Practically, the Chabad custom is to be stringent not to recite Shehechiyanu throughout the three weeks. Buying clothing during the nine days: It is forbidden to buy any clothing during the nine days, even undergarments and even if one does not plan to wear the clothing until after Tisha B’av. See Chapter 3 Halacha 11 for the full details of this matter. Wearing new clothing: Wearing new clothing between the 17th of Tamuz and Rosh Chodesh Av follows the same ruling as buying new clothing during this time. [Thus, important clothing is not to be worn, while simple clothing, such as undergarments and possibly even pants and shirts, may be worn.]. During the nine days: It is forbidden to wear new clothing, during the nine days. This prohibition applies even against wearing new shoes [and undergarments]. See Chapter 3 Halacha 11 for the full details of this matter. Making, Mending & Sewing Clothing: Until the nine days: It is permitted to fix and mend clothing from the 17th of Tamuz until the start of the nine days. It is even permitted to make new clothing until this time. During the nine days: It is forbidden to make new clothing during the nine days, as explained in Chapter 3 Halacha 6-See there! Buying items other than clothing: Until the nine days: It is permitted to buy all non-clothing items from the 17th of Tamuz until the start of the nine days. Seemingly, this applies even towards expensive items, and items that bring Simcha. [Thus, it is permitted to purchase a car during this time.] However, some Poskim rule one is to avoid purchasing all expensive items which give one joy and receive a blessing of Shehechiyanu, unless the matter is a necessity, or will cause one a monetary loss. According to Admur however, we never recite a blessing on Shehechiyanu over purchasing new objects, even if they are very expensive, and hence one may purchase even such items up until the nine days. During the nine days: It is permitted to purchase all inexpensive items during the nine days. However, expensive items may not be purchased unless it is an absolute necessity. From the 17th of Tamuz until the 9th of Av one is to beware not to walk in the border area between the shade and the sunlight, between the 4th and 9th hours of the day. Likewise, one is to beware from staying in the shade during the months of Tamuz-Av. From on the above laws, which warn against hitting a child, or walking during certain times of the day, we learn that there is an element of danger involved during the period of the three weeks, and that one should abstain from activities that are considered possibly dangerous. While this matter is not explicit in the Shulchan Aruch or its commentaries, nonetheless, it has become accepted and advised to follow. The following are a list of activities and their ruling. May one go swimming during the three weeks? It is permitted to go swimming past the 17th of Tamuz, up until Rosh Chodesh Av, the start of the nine days. There is no basis for the notion that one who did not go swimming prior to the 17th of Tamuz, may not go after the 17th, and it is permitted to do even in such a case. Nevertheless, one is to avoid swimming in dangerous areas, such as a dangerous beach or during bad weather and the like. Due to this reason, some are accustomed to completely avoid going swimming, or into a river or ocean, throughout the duration of the three weeks. May one travel during the three weeks? It is permitted to travel during the three weeks, whether by car, bus or plane. However, as stated above, one is to abstain from traveling to dangerous areas, or for the sake of pleasure or a vacation. Thus, one should only travel for necessary purposes, or for the sake of a Mitzvah. This especially applies during the nine days. On one occasion, the Rebbe advised that one who plans to travel during the three weeks, should at least begin his traveling preparations prior to the 17th of Tamuz, such as through packing some of his belongings prior to the 17th. Moving during the three weeks: If doing so is possible, one should abstain from moving houses throughout the duration of the three weeks, until the 15th of Av. Some have the custom to mourn and cry over the destruction of the Temple for a half hour or more each day, after midday, throughout the days of the 17th of Tamuz and 9th of Av. Doing so is a proper custom, as the three weeks is a time of severities, and this mourning benefits the soul tremendously. Some say Tikkun Rachel at this time. This is addition to performing Tikkun Chatzos at night. The Midrash states that studying the laws of the Beis Hamikdash, its structure and vessels, is viewed by Hashem as if one is building the Temple. This means to say, that during times of exile when one is unable to help build a physical Temple, one fulfills the eternal Biblical command of “Making me a Temple” through studying the laws of the Temple. One should study the prophecies in Yechezkel from 40 and onwards, Miseches Middos, and Hilchos Beis Habechira of the Rambam. One should especially increase in studying these laws during the period of Bein Hametzarim. Studying these laws weakens the exile and hastens the redemption. This section will only list the mourning customs that become applicable during the nine days. All customs that apply throughout the entire three-week period were listed in the previous chapter. See there for further reference! Matters of frivolity: One is to be especially careful during these days not to have conversations of frivolity and lightheartedness. Jewelry and makeup: Some Poskim write women are to diminish in makeup and jewelry during the nine days. One who has a court case against a gentile during this time is to find ways to delay it, as during this time a Jews Mazal is weak. It is permitted to buy and sell all simple and necessary items as usual during the nine days. One is not to buy and sell expensive items that are not necessities, but rather a luxury, unless it is a case of possible financial loss. During the nine days, it is forbidden to play music even for livelihood/Parnasa purposes, even for the sake of gentiles. During the nine days, one is not allowed to plant gardens for pleasure purposes, such as the trees of kings which are planted for shade, or different species of myrtle. 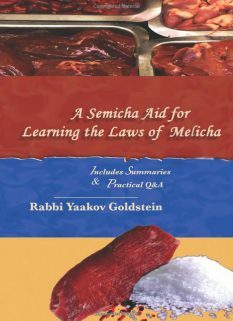 Shechita: The custom is to avoid slaughtering animals or poultry from Rosh Chodesh until after Tisha B’av [the 10th of Av]. It is however permitted to slaughter for the sake of a Mitzvah such as for an ill person who needs meat, or for Seudas Shabbos or a Bris Mila, as will be explained. Does the prohibition begin from sunset or Tzeis of Rosh Chodesh? Some are accustomed to abstaining from eating meat and poultry starting from after sunset of Rosh Chodesh. Others are accustomed only from nightfall [Tzeis]. See Introduction for the full details of this matter! Eating a dish which contains meat or poultry: It is forbidden to eat a food which contains meat or poultry amongst its ingredients. If meat or poultry fell into a food, the food may be eaten if it contains sixty times the meat. Alternatively, one may taste the pot to verify if it has a taste of meat. If one sees that it does not have a taste of meat, it is permitted to be eaten. Cooking food in a meat pot: Pareve foods may be cooked in a meat pot [even if the pot was used for meat in the past 24 hours]. Shabbos: It is permitted [and is a Mitzvah] to eat meat on Shabbos. If the third meal continues past the conclusion of Shabbos, it remains permitted to eat meat and drink wine until one recites Birchas Hamazon, even if the congregation already Davened Maariv. Some Poskim however rule it is forbidden to eat meat past nightfall if the congregation already Davened Maariv. Nursing women: Those women that need to eat meat in order to have milk for their child, may be lenient to do so. This applies even to animal meat. Likewise, if a nursing woman feels weak or sick she may be lenient to eat meat. [However, this only applies if other foods cannot supplement the benefits received in eating meat.] Nevertheless, the custom is to be stringent beginning from the 7th of Av unless she feels a strong need for it. Practically, this matter of nursing women eating meat during the nine days is to be given to the discretion of a Rav in order so people don’t come to belittle the matter. Pregnant women: If a pregnant woman feels weak or sick she may be lenient to eat meat. [However, this only applies if other foods cannot supplement the benefits received in eating meat.] Nevertheless, the custom is to be stringent beginning from the 7th of Av, unless she feels a strong need for it. Practically, this matter of pregnant women eating meat during the nine days is to be given to the discretion of a Rav in order so people don’t come to belittle the matter. After birth: A woman after birth is permitted to eat meat during the nine days. [This applies for all women within 30 days of giving birth.] Nevertheless, the women are accustomed to stop eating meat starting from the 7th of Av [unless they feel a strong need to eat it]. One may eat meat and drink wine during a Seudas Mitzvah which is taking place during the nine days, such as a Bris Mila, Pidyon Haben, Siyum Miseches, [or a Bar Mitzvah]. However, only those who are coming to the meal out of respect for the Baal Hasimcha, or other similar reason, are allowed to eat. However, those joining simply to be allowed to eat meat and drink wine are forbidden to eat meat and wine. The week of Tisha B’av: Within the week of the Tisha B’av, only ten people, [in addition to relatives], are to eat meat or drink wine during the meal. Kos Shel Bracha: One may say Birchas Hamazon over wine [i.e. Kos Shel Bracha] by a Seudas Mitzvah. One may not drink wine throughout the nine days. Does the prohibition begin from sunset or Tzeis of Rosh Chodesh? Some are accustomed to avoid drinking wine starting from after sunset of Rosh Chodesh. Others are accustomed only from nightfall [Tzeis]. See Introduction for the full details of this matter! Adding wine into the ingredients of a food: It is forbidden to eat a food which contains wine within its ingredients. If wine fell into a food the food may be eaten if it contains sixty times the wine. Alternatively, one may taste the pot to verify if it has a taste of wine. If one sees that it does not have a taste of wine it is permitted. Beer and other beverages: It is permitted to drink any beer [and any alcoholic beverage other than wine ] during the nine days. It is permitted to drink vinegar made from wine. Children: A child that has not reached the age of Chinuch may drink wine during the nine days as explained in the previous Halacha B regarding meat. See there for all the details of this matter! Shabbos: One may drink wine on Shabbos without limitation. If the third meal continues past the conclusion of Shabbos, it remains permitted to eat meat and drink wine until one recites Birchas Hamazon, even if the congregation already Davened Maariv. Some Poskim however rule it is forbidden to drink wine past nightfall if the congregation already Davened Maariv. Seudas Mitzvah: One may drink wine by a Seudas Mitzvah, as explained in Halacha 8C. Kos Shel Bracha: One does not say Birchas Hamazon over wine during the nine days. Havdalah: When saying Havdala during the nine days [Motzei Shabbos Chazon] one is to give the wine to drink to a child [whether male or female , although some rule only male ] who has reached the age of Chinuch [of blessings although some say also Chinuch of Havdala] but has not yet reached the age of Chinuch for mourning. If such a child is not, he may drink the [entire] Havdalah wine himself as usual. It is forbidden to launder clothing from the start of Rosh Chodesh Av until the week of Tisha B’av, unless one has run out of clean clothing that are changed daily, or one is washing the clothing of a gentile, or a child, or for the sake of a Mitzvah. During the week of Tisha B’av, it is forbidden to launder any clothing, even if one has run out of clothing, even if it is the clothing of a child or a gentile, unless the clothing is of a child who is below the age of Chinuch, or is needed for the sake of a Mitzvah. It is forbidden to wear freshly laundered clothing during the nine days [even if they were laundered prior to the nine days]. [The above prohibition only applies to one who changes for pleasure purposes, although it is permitted to change into fresh clothing if one’s clothing is dirty or smelly. Thus, those clothing that become overly dirty and sweaty, such as all undergarments and towels, may be worn even if they are freshly laundered from before the nine days. Furthermore, those who are accustomed to change their shirts constantly due to being overly sensitive to sweat, may do so even during the nine days, even if the shirt is freshly laundered from beforehand. However, one may not change his pants or jacket to a fresh pair, unless the pair is unwearable. Furthermore, the meticulous are particular to not change any of their clothing throughout the week, not even their undergarments.] All clothing which are permitted to be laundered during the nine days, as explained in Halacha 8, are likewise permitted to be worn in their freshly laundered state. The clothing included in the prohibition: The above prohibition applies to any cloth, even if it is not worn on the body, such as towels, tablecloth, or linens for a bed. Ironed clothing: It is forbidden to wear freshly ironed clothing. All clothing that have been ironed, pressed, or dry cleaned in a way that is recognizable even after wearing it one time, may not be worn so long as the ironing effects remain. For the sake of Shabbos: It is permitted to wear freshly laundered linen clothing in honor of Shabbos, and it is permitted to use white [tablecloths] like any other Shabbos. Tablecloths and bed sheets: One may also use fresh white tablecloths in honor of Shabbos. However, new sheets may not be spread on one’s bed. It is forbidden to make new clothing or new shoes during the nine days. [This applies even to socks.] The women are likewise accustomed not to weave the warp during the nine days. It is permitted to weave strings during the nine days. It is likewise permitted to weave items that are not clothing. A tailor making for others: It is forbidden for a Jewish tailor to make this item even on behalf of another person [which is a Jew]. This applies whether he is doing so in exchange for payment, of for free. This applies even if one intends to sell the garment in the market place. However, the custom is to be lenient in this [and make new clothing even for a Jew]. This, however, is only allowed if the material was already given to the tailor before Rosh Chodesh, however to give him the material after Rosh Chodesh is obviously forbidden.] Furthermore, some Poskim are only permit one to be lenient until the week of Tisha B’av.] It is permitted however for a Jew to make the item on behalf of a gentile, if it is well known that the work is being done on his behalf. [It is permitted to do so even if the Jew receives the material after Rosh Chodesh.] It is likewise customarily permitted for a Jew to give material to a non-Jew to make for him a new garment, so it be ready after Tisha B’av. [This applies even during the weeks of Tisha B’av. However, some Poskim are stringent to only allow it up until the week of Tisha B’av.] Nonetheless, it is best to diminish in this matter when possible. It is forbidden to bathe [or shower] during the nine days, even with cold water, with exception to one who needs to shower for medical reasons or for reasons of cleanliness, or for the sake of a Mitzvah. One may not cut nails during the week of Tisha B’av. One may cut nails during the three weeks, up until the week of Tisha B’av. Need of a Mitzvah: It is permitted to cut nails for the need of a Mitzvah, such as for Tevila. The Shabbos prior to Tisha B’av is cordially known as Shabbos Chazon. It is called this name after the title of the Haftorah of this Shabbos, Chazon Yeshayahu. In addition, there is a tradition from Reb Hillel of Paritch, in name of Rav Levi Yitzchak of Berditchiv that on this Shabbos Hashem shows the soul of every Jew a distant spiritual vision of the third Temple. The purpose of this vision is to help increase a Jew’s anticipation for the redemption. Although this matter affects one’s inner soul, subconsciously, it is further increased through contemplating this matter on this Shabbos. The reason Hashem shows us the Third Temple specifically the Shabbos before Tisha B’av is to express to us that in truth the purpose of the exile is to bring about the great revelation of the Third Temple. It is permitted [and is a Mitzvah] to eat meat on Shabbos. If the third meal continues past the conclusion of Shabbos, it remains permitted to eat meat and drink wine until one recites Birchas Hamazon, even if the congregation already Davened Maariv. Some Poskim however rule it is forbidden to eat meat past nightfall if the congregation already Davened Maariv. When saying Havdala during the nine days [Motzei Shabbos Chazon] one is to give the wine to drink to a child [whether male or female, although some rule only male] who has reached the age of Chinuch [of blessings although some say also Chinuch of Havdala] but has not yet reached the age of Chinuch for mourning. If such a child is not, he may drink the [entire] Havdala wine himself as usual. One is to limit his Torah learning starting from midday of Erev Tisha B’av to only those subjects permitted to be studied on Tisha B’av itself. Nevertheless, those who are lenient to continue their regular Torah sessions have upon whom to rely. Being careful not to satiate oneself too much by this meal: One must beware not to satiate himself too much during the first meal in order so he retains an appetite to eat the Seudas Hamafsekes. When? After eating the large meal [discussed in the previous Halacha] one is to [recite Birchas Hamazon] and Daven Mincha. The Seudas Hamafsekes is then eaten after Mincha. Tachanun: Tachanun is omitted during Mincha of Erev Tisha B’av being that Tisha B’av is called a “Moed” [Festival]. The widespread Ashkenazi custom is to eat a large meal on Erev Tisha B’av prior to Mincha and then eat the Seudas Hamafsekes after Mincha. Menu of Seudas Hamafsekes-Letter of law: It is forbidden from the letter of the law to eat meat, drink wine, or partake in two cooked foods during this meal. Not to eat fish or chicken: The custom is to forbid eating even chicken and fish [due to their inclusion within the prohibition against meat]. The definition of a cooked food: All cooked foods are included within this prohibition of eating two cooked foods even if it is possible for the foods to also be eaten raw. Two cooked foods in one dish: Two foods that have been cooked together in the same pot have the status of two cooked foods [and is thus forbidden to be eaten by the Seudas Hamafsekes]. However, if this combination of foods is the most common recipe for this food throughout the year, then it is considered one food, and it may be eaten. Thus, one may eat a cooked legume that contains onions if this is the common recipe of cooking throughout the year. Raw fruits and vegetables: One may eat an unlimited amount of raw [not cooked] fruits and vegetables during this meal. Diminish in drinking: One is to diminish the amount he drinks during this meal in comparison to the amount he drinks in a regular meal during the year. Not to drink beer: One may not drink beer during this meal unless the person feels weak [and is doing so in order to garner strength]. Menu of Seudas Hamafsekes-Custom: Customarily, the Seudas Hamafsekes consists of merely bread with salt, water, and a cooked egg. One dips the bread [and egg] in ash and states “This is the meal of Tisha B’av”. One is to sit on the floor [with an interval between him and the floor] during this meal and it is not to be eaten with a Zimun. One is to diminish in his normal amount of drinking during the meal. 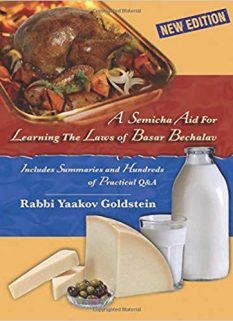 Eating after Bentching: After one finishes his final meal, and recites Birchas Hamazon, he may continue to eat and drink [those foods permitted during the Seudas Hamafsekes] until sundown/Shekia. However, if one explicitly said that he is accepting the fast after his conclusion of the meal, then he may no longer eat and drink [and all the prohibitions that begin by sundown apply to him from that time, other than the prohibition against wearing leather shoes]. This acceptance is valid even if it was not verbalized but simply stated in one’s mind. If one does not feel like eating anymore: Even if one is satiated and does not feel like eating anymore food, it is not considered an acceptance of the fast until he explicitly decides to begin the fast. On Tisha B’av of year 2449 the Meraglim returned and it was decreed that the Jewish people in the desert would not enter Eretz Yisrael. On Tisha B’av of year 3338 [שלח-422 BCE] the first Temple was destroyed. On Tisha B’av of year 3828 [68 CE] The second Temple was destroyed. On Tisha B’av of year 3881 or 3901 the city of Beitar was destroyed. On Tisha B’av the city [of Jerusalem] was plowed by Turnus Rufus. It is forbidden to eat or drink anything on Tisha B’av. Some Poskim rule it is permitted to smell spices on Tisha B’av. Other Poskim however rule it is forbidden to smell spices on Tisha B’av. Smoking: If it is not difficult, one is to avoid smoking on Tisha B’av. Accordingly, one who is not overly addicted should not smoke. If, however, one finds this very difficult, he should at the very least delay smoking until after midday, and even then it should only be done in private. It is forbidden to wear leather shoes on Tisha B’av. This includes all footwear which contains leather, even if the shoe is mainly of a different material. It is forbidden to wear it even on one foot. Standing on top of leather cloth: Although there is no prohibition against standing on a cloth made of leather, nevertheless, one who is stringent is blessed. For pleasure: It is forbidden to wash any part of one’s body [for the sake of pleasure] on Tisha B’av. This applies whether with hot or cold water. Even to stick one’s finger in water is forbidden. For medical purposes: One who is sick may bathe for medical purposes. Children: Children are not to be bathed on Tisha B’av even if they are below the age of Chinuch, unless they are dirty. A bride within 30 days: A bride within 30 days after her wedding may rinse her face to beautify herself for her husband. Mikveh Night on the ninth of Av: A woman whose Mikvah night falls on Tisha B’av, must postpone it until the next night. In such a case, she should perform the Chafifa on the day before Tisha B’av and on the night following Tisha B’av she should again bathe and clean herself, and then immerse. Hefsek Taharah: A Hefsek Taharah may be performed on Tisha B’av. Nevertheless, she is to only slightly wash between her thighs for this purpose. It is permitted to use either hot or cold water. Washing hands for the blessing of the Kohanim: A Kohen may wash his [entire] hand prior to the priestly blessings, even if he had already washed them in the morning before prayers, as he is not washing for pleasure purposes. Washing after bathroom: When going to the bathroom before Davening, one may wash his fingers [not hand] prior to Davening, even if they did not become dirty in the process. When going to the bathroom during other times, one may only wash his fingers, up to his knuckles, if he got them dirty in the process of going to the bathroom. It is advisable to do so in order to say asher yatzar in purity. Washing one’s face upon awakening: Rinsing mucus from one’s eyes: One may wash mucus from his eyes if he is careful to do so throughout the year. Rinsing the remainder of the face: One may not wash his face, even if he is a very pampered person, unless he has dirt on his face and desires to wash it off. Cooling oneself off with a wet towel: One may cool himself down with a dry towel that was wet before Tisha B’av. However, a wet towel is forbidden to use. Night: On the night of Tisha B’av one is not to touch his wife affectionately or sleep with her in the same bed. Some rule one is to also follow the other Harchakos restrictions at night. Day: By the day of Tisha B’av one may be lenient regarding touch, although some rule that one is to be stringent just like by night, even regarding the Harchakos restrictions. It is forbidden to learn Torah on Tisha B’av,] with exception to the parts of Torah relating to the mourning period or tragic occurrences for the Jewish people, to be explained in B]. This prohibition includes Chumash, Navi, Kesuvim, Mishneh, Talmud, Halacha, Agadah [i.e. Midrash]. Giving Halachic rulings: A Rav may not rule on subjects which are unrelated to Tisha B’av unless it involves a sick person who needs an answer. Reviewing the Torah Reading: A Baal Korei may review the Torah reading in order to prepare for it. The tragic parts in Yermiah, skipping those verses which deal with comfort and those which mention the tragedies that will befall the gentiles. The third chapter of Moed Katan “Eilu Megalchin”. The story of the destruction in Josephus. It is forbidden to greet a friend on Tisha B’av. Thus, one may not greet a friend with Shalom Aleichem [or good morning]. If one’s friend will be offended if he is not greeted, then one is to explain to him the concept of this prohibition. Responding to a greeting: If one is greeted by another person using the above terms, he should answer the person in a mournful tone. May one give gifts or presents on Tisha B’av? Today, the accepted custom is to avoid doing any form of work on Tisha B’av if the work requires some time to be performed. The prohibition applies [from the night of Tisha B’av] until midday. All work which requires only minimal time to be done, such as lighting a match and making a knot, may be done even before midday. Whoever does work on Tisha B’av [to the extent that his mind is diverted from the mourning] will not see blessing from that work. Housework: Even housework should be avoided from being done until after midday. Having a gentile do work on one’s behalf: It is permitted to have a gentile do work on one’s behalf on Tisha B’av. Doing work to prevent loss: It is permitted to do work to prevent financial loss. Preparing food: The custom is not to slaughter meat and not to prepare food [for after the fast] until after midday. One should diminish from his honor and pleasure as much as possible throughout Tisha B’av. Diminishing in comfort of sleep: [Even those who do not abide by the above custom] are to diminish their sleeping comfort on Tisha B’av, such as if one normally sleeps with two pillows, he is to sleep with one pillow. Must one sit on the ground or may he choose to stand? It is not required for one to sit on the ground and he may stand if he so chooses. It is permitted to get engaged [i.e. Eirusin/Kiddushin] on Tisha B’av. Bathing: Children, even below Chinuch, are not to be bathed unless they are dirty. The Baal Bris [father of the child, Mohel and Sandak] are all required to fast the entire day even though the Bris is taking place that day. Thus, the Seudas Mitzvah is to take place only after the fast. Taanis Nidche-If the fast was pushed off to Sunday: In the event that the fast fell on Shabbos and was hence pushed off to Sunday, then one who has a Bris taking place on Sunday is not required to fast until night. Rather [after midday] he is to Daven Mincha early. After he Davens Mincha he may then eat. The same applies for all the Baalei Bris [however not for anyone else invited to the Bris, including the Kvatrin, which must fast until night]. [They are to say Havdala prior to eating. Nevertheless, they are not to make a large meal during the day as is normally done on the day of a Bris, and thus the main meal is to take place at night. Nevertheless, despite the above ruling, some Poskim rule that even on a Taanis Nidche the Baal Bris is to fast the entire day as usual, and so is the custom of certain communities. However, most communities are lenient in this matter as the plain ruling in Shulchan Aruch. 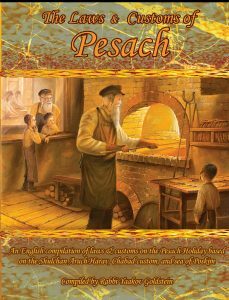 If a Pidyon Haben is set to take place on a fast day the father and Kohen must nevertheless fast until night as usual. The meal is to take place at night, after the fast. Taanis Nidche: In the event that the fast fell on Shabbos and was hence pushed off to Sunday, then if a Pidyon Haben is taking place on Sunday, the father and Kohen is not required to fast until night. Rather, after midday, he is to Daven Mincha early and he may then eat. Nevertheless, the meal is to take place only after the fast. Eating meat or poultry [fish is permitted]. Marital relations: It is proper to avoid marital relations on the night of the 10th of Av [Motzei Tisha B’av], unless it is the night of Mikveh or one is traveling the next day or has arrived home after traveling [or he has a very strong inclination and may come to sin]. Diminishing light: At night, one is to only light bare minimum of light needed to read Eicha and the Kinos. Sitting arrangements: One is not required to switch from his normal place of sitting on Tisha B’av. One may not sit on a chair when Davening Maariv and is thus to either stand or sit on the ground. One is to place an interval between the floor and his body, as explained in the previous Chapter 6 Halacha 14. Davening like a mourner: By Maariv, one is to Daven slowly and in the tone of a mourner. Meorei Haeish: One is to recite the blessings of Meorei Haeish on Motzei Shabbos upon seeing a candle. One is to recite the blessing prior to Eicha. [Some write that one may recite the blessing any time prior to Eicha, and hence if one is home prior to Maariv, he may say the blessing at home with his family and fulfill the obligation with them. Practically, the custom is like the former opinion to recite Borei Meorei Haiesh in Shul after Maariv, prior to Eicha. The women at home are to recite the blessing over Meorei Haeish on their own. Some write one is not to use the regular Havdala candle for Meorei Haeish but is rather to join to small candles together.] In the event that one did not recite the blessing of Meorei Haeish before Eicha, it is to be recited afterwards. If the blessing was not said at night, it may not be said the next day. Eicha: After Maariv, one reads Megillas Eicha. Eicha is recited slowly and in the tone of a mourner. [The reader is to make a small break between each verse, and a larger break between each Eicha. The congregation is to read along silently together with the Chazan.] Each time the word Eicha is recited the Baal Korei is to raise his voice. When the Chazan reaches the verse of Hashiveinu, the congregation recites it in a loud voice and the Chazan then says it aloud; the congregation then repeats it again aloud and the Chazan then repeats after the congregation. Kinos: After Eicha, one reads the Kinos designated for the night of Tisha B’av. Ata Kadosh: After the completion of Eicha and Kinos the congregation recites Veata Kadosh [omitting the verses of Uva Letziyon and Veani Zos Brisi]. This applies even when Tisha B’av falls on Motzei Shabbos, in which case one skips Vayehi Noam and begins from Veata Kadosh. 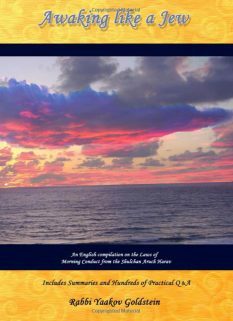 Kaddish without Tiskabel: After Veata Kadosh, the Chazan recites Kaddish without Tiskabel. Aleinu: After Kaddish, Aleinu is recited. This is then followed by the mourners Kaddish. Greetings: Upon leaving Shul, one is to avoid wishing a Shavua Tov and the like to a friend. One is not to walk in groups but rather alone in a state of mourning. May an Avel go to Shul? An Avel within Shiva may attend Shul on the night of Tisha B’av, and by day until the completion of the Kinos. [He is not to go to Shul for Mincha.] This applies even within the first three days of Aveilus. However, some Poskim are stringent and rule that if the Avel is within the first three days of mourning, he is not to attend the Shul. Others say he is to only attend during the day and not at night. Time of Davening: Shacharis is to be Davened slightly earlier than usual, however, at a time that will allow the Kinos recitation to extend until near midday. Tallis and Tefillin: The custom is not to wear a Tallis Gadol or Tefillin by Shacharis. Karbanos: One is to read the regular order of prayers and Karbanos prior to Hodu. 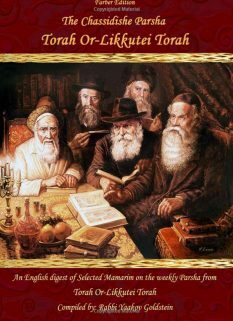 Kissing the Tzitzis: The widespread custom is not to hold or kiss the Tzitzis by Baruch Sheamar and Shema. Nesias Kapayim/Birchas Kohanim: Some Poskim rule that Kohanim [in Eretz Yisrael] do not perform Nesias Kapayim, and the Chazan does not recite Elokeinu [Birchas Kohanim] during the Shacharis repetition. Others rule it is to be recited. Practically, the custom is not to perform Nesias Kapayim and to omit Elokeinu from the repetition. Kaddish: After the Chazan’s repetition, half Kaddish is recited. Yehalelu: After the completion of the blessings of the Haftorah, Yehallelu is recited and the Sefer Torah is returned to the Ark. Ashrei/Uva Letziyon: Lamnatzeiach is omitted between Ashrei and Uva Letziyon. Uva Letziyon is recited [omitting the verse of Veani Zos Brisi]. Kaddish Shaleim: After Uva Letziyon, the Chazan recites Kaddish Shaleim without Tiskabel. Eicha: After the completion of Shacharis each individual is to read Eicha to himself. Greetings: Upon leaving the Shul, one is to avoid wishing goodbye and the like to a friend. One is not to walk in groups but rather alone in a state of mourning. Paroches: The Paroches is returned to the Aron prior to Mincha. Karbanos: After the Shiurim of Chitas, one recites Karbanos. The order of Mincha: Ashrei; Half Kaddish; Kerias Hatorah. Torah reading: The Torah portion of Vayichal is read during Mincha. This is followed by the reading of the Haftorah, just as is done on a regular fast day. Nesias Kapayim/Elokeinu: In Eretz Yisrael, the Kohanim perform Nesias Kapayim. [The Kohanim are to wash their entire hand.] In the Diaspora, the Chazan recites Elokeinu [Birchas Kohanim] during the Mincha repetition. Tachanun and Avinu Malkeinu: Tachanun and Avinu Malkeinu are omitted on Tisha B’av. 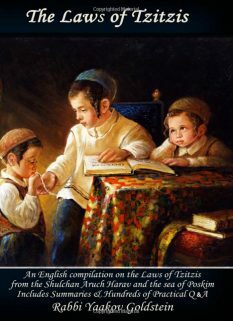 Kaddish Shaleim with Tiskabel: After the Chazan’s repetition, the full Kaddish with Tiskabel is recited. One does not recite Kiddush Levana prior to Tisha B’av. It is rather to be recited on Motzei Tisha B’av. Eating and changing clothing before Kiddush Levana on Motzei Tisha B’av: Prior to reciting Kiddush Levana on Motzei Tisha B’av, one is to eat. One is to also change his shoes. See previous Chapter 6 Halacha 19 regarding a regular year. See next chapter Halacha 13 regarding when Tisha B’av falls on Shabbos and was pushed off to Sunday. Seudas Hamafsekes: When Shabbos falls on Erev Tisha B’av there are no Seudas Hamafsekes limitations relevant to the final meal before the fast. When Tisha B’av falls on Shabbos, the regular Tisha B’av restrictions against leather shoes, bathing and anointing do not apply until after Shabbos, as will be explained. When Tisha B’av falls on Shabbos and is pushed off until Sunday one may not have marital relations on Shabbos. Night of Mikveh: If Friday night is the night of Mikveh, marital relations is permitted. Announcing in Shul: Some are accustomed to announce after Shul that all private mourning matters are in effect this Shabbos. Others avoid this announcement. One is to limit his Torah learning starting from midday of Erev Tisha B’av to only those subjects permitted on Tisha B’av itself. Nevertheless, those which are lenient to continue their regular Torah sessions have upon whom to rely. The paragraph of Av Harachamim is recited before Musaf even when Tisha B’av falls on Motzei Shabbos. When? One is to Daven Mincha earlier than usual in order to have time to eat the third Shabbos meal. Tzidkascha: If Tisha B’av falls on Motzei Shabbos, the paragraph of Tzidkascha is omitted in Mincha. When Tisha B’av falls on Motzei Shabbos, or on Shabbos and is pushed off until Motzei Shabbos, there is no Seudas Hamafsekes restrictions relevant to the final meal eaten on Shabbos before the fast. One may eat without any restrictions up until sunset. One may eat meat and drink wine by the final Shabbos meal, and may bring foods to his table as like the feast of King Shlomo. May one eat with other people? One may eat the third meal of Shabbos as usual with his family. Regarding eating with friends [as is common to do in Shuls which serve the third meal], some Poskim rule it is not to be done. Others rule one is to follow his usual pattern, and hence if he usually eats this meal with friends he is not allowed to refrain from doing so. Making a Zimun: It is permitted to make a Zimun by Birchas Hamazon of the final Shabbos meal. When do the bathing and anointing restrictions begin? The bathing and anointing restrictions begin at sunset. Hence, beginning from sunset, one may not wash his hands, just as is the law on Tisha B’av. When is one to switch his shoes? One may not switch his shoes prior to the conclusion of Shabbos. This applies likewise to children. Some are accustomed to only remove their shoes after Barchu of Maariv is recited, with exception to the Chazan who removes it before Maariv. Others are no longer accustomed to wait until after Barchu of Maariv to remove their shoes, and rather, immediately after the conclusion of Shabbos, they say Baruch Hamavdil Bein Kodesh Lechol and then switch their shoes. Practically, this was the Rebbe’s custom. However, in Luach Kolel Chabad it states to remove the shoes after Barchu, as rules the Rama. Havdala over wine is not recited on Motzei Shabbos, it is rather recited on Sunday night. [See below for the relevant laws of Havdala on Sunday night]. Meorei Haeish: One is to recite the blessings of Meorei Haeish on Motzei Shabbos upon seeing a candle. One is to recite the blessing prior to Eicha. [Some write that one may recite the blessing anytime prior to Eicha, and hence if one is home prior to Maariv, he may say the blessing at home with his family and fulfill the obligation with them. Practically, the custom is like the former opinion to recite Borei Meorei Haiesh in Shul after Maariv, prior to Eicha. The women at home are to recite the blessing over Meorei Haeish on their own. Some write one is not to use the regular Havdala candle for Meorei Haeish but is rather to join to small candles together.] In the event that one did not recite the blessing of Meorei Haeish before Eicha it is to be recited afterwards. If the blessing was not said at night, it may not be said the next day. Besamim: The blessing of Besamim is not said at all, not on Motzei Shabbos or Sunday night. In Shemoneh Esrei of Maariv one is to recite Atah Chonantanu. Vayiten Lecha: Vayiten Lecha is not recited on Motzei Shabbos which is Tisha B’av. Shabbos clothing: After Maariv, those who have not yet done so are to remove their Shabbos clothes. Havdala when Tisha B’av falls on Motzei Shabbos: In the event that Tisha B’av falls on Motzei Shabbos, Havdala over wine is recited on Motzei Tisha B’av, which is Sunday night. The blessings of Besamim and Haeish are omitted from Havdala. One is to recite the blessings of Meorei Haeish on Motzei Shabbos upon seeing a candle. The blessing of Besamim is not said at all, not on Motzei Shabbos or Sunday night. The Nusach of Havdala: On Sunday night, one begins Havdala from “Hinei Keil Yeshuasi”. Eating and drinking: It is forbidden to eat and drink after Tisha B’av until one says Havdala over wine, just as is the law on Motzei Shabbos. It is permitted to drink water although our custom is to avoid doing so. The mourning customs: In the event that Tisha B’av and Shabbos coincide, and hence Tisha B’av is differed to Sunday, the custom is to not to eat meat or drink wine throughout the night of Motzei Tisha B’av [Sunday night]. See the list below regarding other mourning customs. The next morning [Monday] all the mourning customs are permitted. Shabbos Nachamu is the first Shabbos after Tisha B’av. It is called by this name after the Haftorah of this Shabbos, which is “Nachamu Nachamu Ami.” It is the first Haftorah of the series of seven Haftorahs of comfort. The occurrences: The Gemara lists several opinions regarding matters that occurred on the 15th of Av, which is the cause for its great celebratory status. These reasons are not contradictory of each other, and in truth all occurred on this day. Each Sage mentions the matter which he received as a tradition from his teacher. The true reason behind its greatness: In the writings of the Arizal it is explained that the greatness of the 15th of Av is that on this day we experience a full moon. The full moon represents a high spiritual level. Now, although in truth every month contains a full moon, the full moon of this month is unique being that it comes after the great descent of Tisha B’av. Hence in comparison to the great descent experienced some days prior, the elevation now experienced is so much greater, that it became a day fit for celebration. Tachanun: Tachanun is omitted on the 15th of Av. It is omitted starting from Mincha of the 14th. Wishing Kesiva Vechasima Tova: We begin to wish each other a “Kesiva Vachasima Tovah” starting from Rosh Chodesh Elul. Some are accustomed to begin doing so from the 15th of Menachem Av. If one paints the walls of his house with white paint, he is required to leave a space of 1×1 Ama [48cm x 48cm] unpainted. Some say this space should be made opposite the entrance of the house, in order so that when one enters through the main door, he will immediately see the unpainted area and remember the destruction. Others however are accustomed to position it on top of the door in order so that when one sits facing the door he is able to see the unpainted area. One who purchases a painted house, or house with decorated walls, may remain in its painted state and is not obligated to scrape off the paint from a 1×1 Ama area. Many people today are no longer accustomed to leave an unpainted square space in the home, although the custom of the Rebbe Rashab was to do so. The Sages enacted that in commemoration for the destruction, upon making a meal for guests [or any other meal, including even a Seudas Mitzvah] one is required to leave out from the table one of the commonly served dishes of food. One is to make it blatantly evident on the table that the dish is missing by leaving a space empty for where that dish should have been served. Any common dish may be left out, even if it is not of much importance. [On Shabbos and Yom Tov it is permitted according to all to serve all the available dishes. Practically, however, today we are no longer accustomed to leave out a dish from meals even during the meals of the week. Some conclude that it is nevertheless proper to leave an empty space on the table in commemoration of the Churban. During the year, it is proper to diminish in the amount of beautiful vessels that one places on his dining table, in order to commemorate the Churban. The Sages enacted that in commemoration for the destruction, upon a woman dressing herself with jewelry, she is not to wear all the types of jewelry that she usually wears and is rather to leave one out. Thus, if she owns and wears a necklace, rings, earrings, and bracelet she is not to wear all of them at the same time. Those that wear all of their jewelry, aside for transgressing this law, also cause jealousy amongst the gentiles. On Shabbos and Yom Tov, some Poskim rule it is permitted to wear all the available jewelry. Other Poskim however rule it applies even on Shabbos and Yom Tov. Although the above ruling is recorded in the Poskim without argument, practically, today the women are no longer accustomed to leave out a piece of jewelry even during the week. This law applies even by the occasion of a Mitzvah, such as by a Simchas Beis Hashoeiva, Chasuna, or on Purim, in which case one’s joy is to be limited. In the time of the redemption however, it will become permitted to excessively rejoice during a Mitzvah occasion. May one visit the Temple Mount? Gedolei Yisrael from all spectrums of Jewry prohibit visitation to the Temple Mount, including to those areas which have been determined to not be part of the Halachic Har Habayis and are not restricted in entry. Visiting the Kosel/Western Wall: The Mitzvah of visiting the Temple area during the festival is not applicable in times of exile. Nevertheless, according to one minority approach, the Mitzvah can still be fulfilled through seeing the Temple area, and although today the Mitzvah is not an obligation, one who visits the area near the Temple, fulfills this positive command. Practically, it customary even today to visit Jerusalem and the Kosel during the Shalosh Regalim, and one who cannot do so on the first day of the Holiday is to do so during one of the following six days.